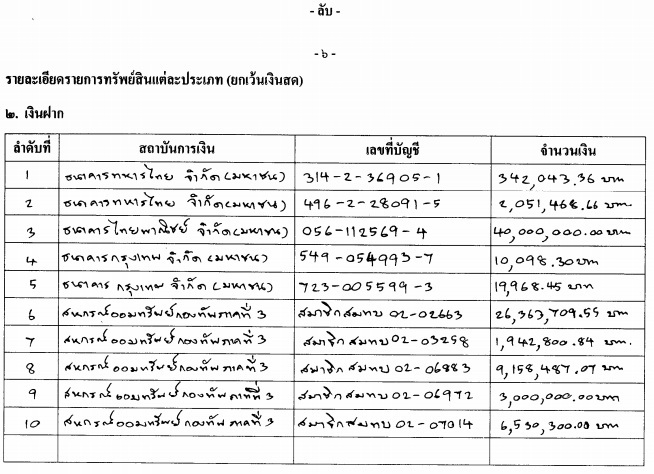 Assistant army chief Lt Gen Preecha Chan-o-cha, who is the younger brother of Prime Minister Prayut Chan-o-cha, has 79.8 million baht in net assets. BP: This BP’s calculations this adds up to just under 90 million baht which differs from the headline figure. Perhaps, the NACC should ask him to correct it* as surely a good person such as Preecha would never have intended to confuse the public with a lower headline figure and hoping that no one would look at the details, right? *He only counted two of his bank accounts – numbers 2 and 3.